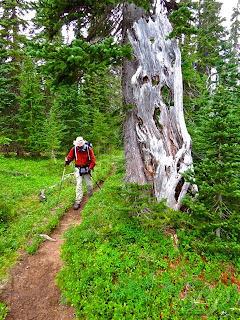 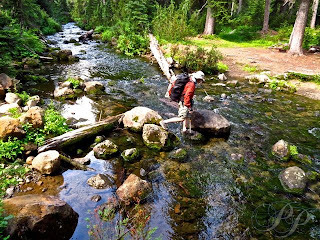 Bob, my Pacific Crest Trail hiking partner, and I enjoyed a recent two and a half day, thirty mile backpack through the William O. Douglas Wilderness portion of the PCT in Washington. Justice Douglas served forty one years on the US Supreme Court, the longest tenure of any Justice (although Justice Stevens may soon surpass that record). He grew up in Yakima, WA and developed a passion for the outdoors and strong conservationist ethic. 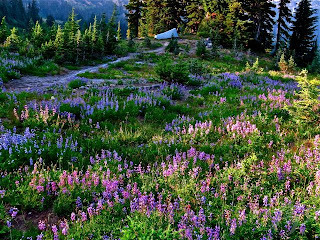 Most of his summers were spent at Goose Prairie near the wilderness named after him. 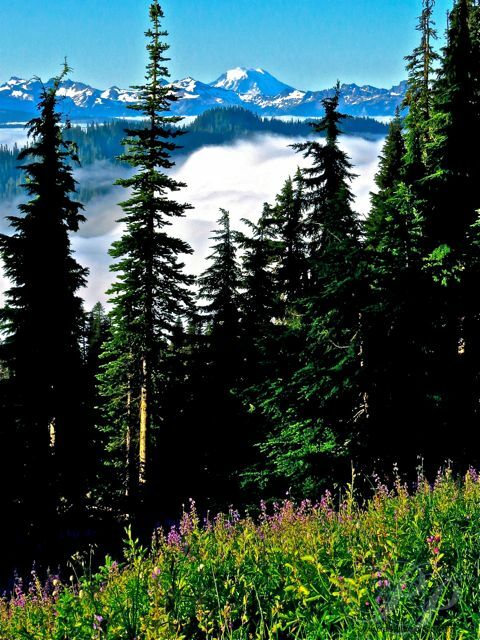 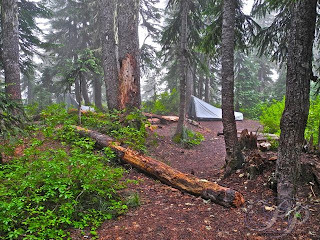 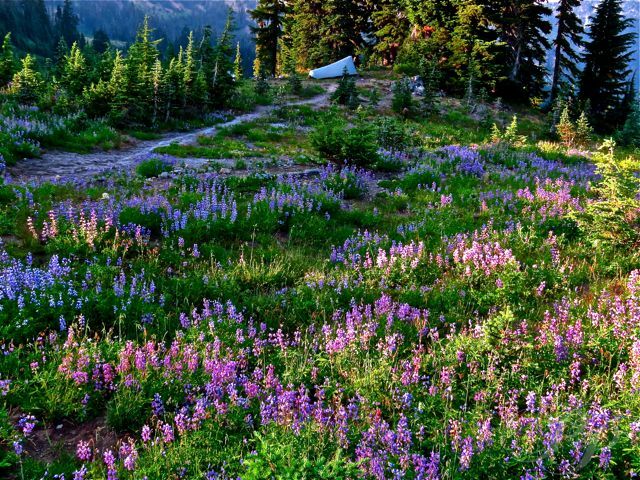 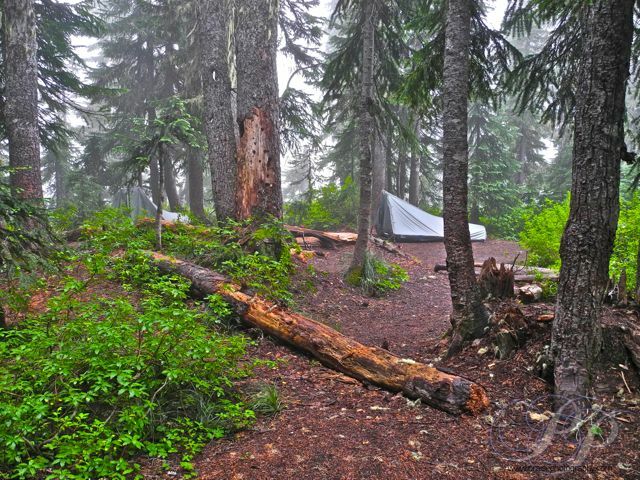 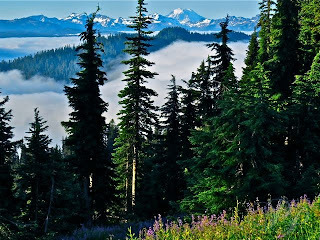 Starting at White Pass, the trail meanders through dense trees, and above continuing meadows and lakes. 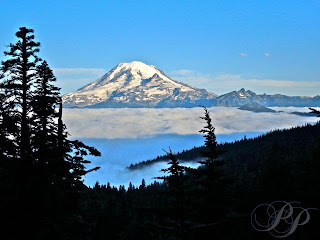 Then it rises steeply and goes over and along one the crests of the Cascades. 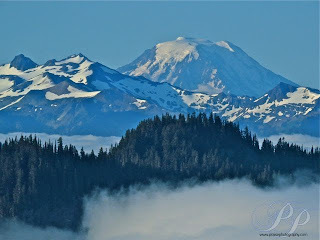 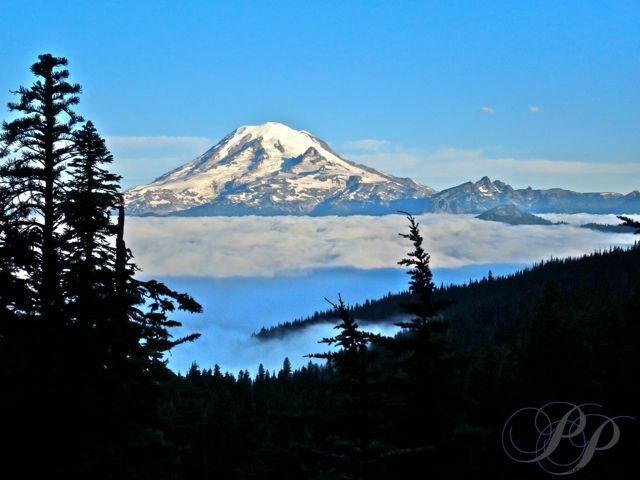 Mt Rainier is "in your face" beautiful, and in fact the trail traverses through the far eastern edge of Mt Rainier National Park. It drops again into beautiful Dewey Lake, only to rise relentlessly toward a final pass before dropping down to Chinook Pass. 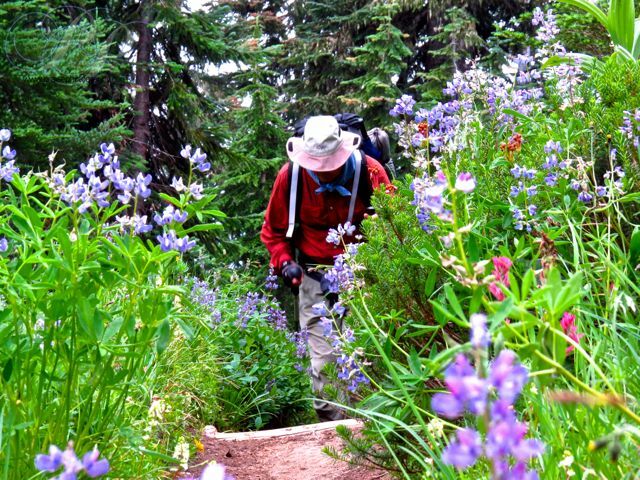 Lakes, rivers, mountain peaks, wildflowers, huckleberries and blueberries--what could be any better in the outdoors!